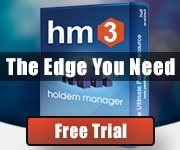 The edge you have as a professional online poker player is getting thinner on traditional poker sites. It’s been getting thinner since Black Friday for various. Many regs who were marginally profitable have either found themselves repackaged in tuna fish cans by other pros or have simply been forced out of the game. For a large part of the community, it feels like a supertrawler has dropped more than a 100 meters of net and scooped up every fish big enough to keep the poker economy afloat. Of course, this really just means that professionals keen on continuing their careers and supporting their lifestyles as online players must find new waters to fish. Enter poker apps, specifically PokerMaster, which is your direct line into the bountiful Chinese market through a system of private-club games that have a similar feel to live home games. PokerMaster is a poker app that links you to other players around the world, specifically to the Chinese market, which is known for its addiction to gambling and government restrictions on the popular pastime – there’s a reason Macau exists. The company is aspiring to “build a Texas Hold’em & Pot Limit Omaha Poker communities focused on bringing friends together and maximizing fun,” which creates the sort of super soft games for which you and other professionals are searching. In line with the company’s stated goal, the majority of the games on PokerMaster are Texas Hold’em and Pot Limit Omaha Cash games. Hold’em tables offer anything between CNY(RMB) ¥5-¥10 (equiv. NL$150) and CNY ¥300-¥600(NL$9000). To beat the system and multi-table your way to a reasonable hourly wage, you can install an Android emulator such as BigNox or MEMU on your computer – or you can play from your smartphone or tablet. The biggest difference, outside of playing with Chinese Yuan at a currency rate of ¥CNY6.5, will be that you can’t directly deposit into your account. Instead, you’ll need to work with one of the reputable agents online. An agent doesn’t only manage your deposits for you, they are also your direct link to the softest club games – more on this later. With the demolition of rake back and many bonus programs, as well as basically worse and worse playing conditions for you and other pros on poker sites, poker apps, such as PokerFishS, PokerLords, and PokerMaster, offer new opportunities to increase your profits. These poker apps allow you to play a virtually unlimited number of tables against a weak, abundant field of amateur players, making it a profitable place for pros to pull up a chair. The amount of soft traffic on the apps is directly linked to the company being originally designed for the enormous Asian market. 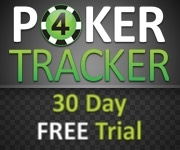 PokerMaster reigns king, as the traffic through the app is three to four times higher than that of their competitors, such as PokerFishS. No matter which app you play on, there is no shortage of wealthy Chinese to continue stocking the market. Back in 2013, the Wall Street Journal reported that there were 2,378,000 millionaire households – and the Chinese economy has only continued to boom since then. A major reason this poker market isn’t slipping on to more traditional poker sites is because of regulations and VPN masking issues. So, the Asian market has mostly turned to poker apps. “Have you ever found yourself stuck in a traffic jam on your way to a poker night? Or lacking players when organizing a home game? Now PokerMaster can let you play poker with friends anywhere, anytime” the Google Play Store says. If you’re struggling to beat someone who jumps on their phone to dump cash while stuck in traffic on the way to a poker night, you might not be in the right business. And, don’t forget, people in China can be stuck in traffic for days. We all know that a good home game is the softest kind of game in the world, which is one of the many reasons that PokerMaster is so profitable for pros. It’s hard to imagine, but the games are thought to be similar to what was happening on PokerStars, FullTilt, PartyPoker, and the rest of the big sites nearly a decade ago. This is your chance to apply that “if I knew what I know now back then” and take it to the bank. Just like in a home game, which can be derailed by absurd wild-card games, PokerMaster is designed to keep the action flowing with the sort of things that put fish in a frenzy. Unlike in your home game, there are claims that several world-famous high rollers play at the highest limits available on PokerMaster with their cashout volume exceeding several hundred thousand dollars. At first glance, the only major downside of PokerMaster is that unlike many poker sites, it does not offer deposit bonuses or other similar promotions. Though such incentives can seem important at first, they really do have a negligible impact on your long-term profitability. If you’re making a living at poker, a $1,000 sign-up bonus isn’t going to make or break your year. Another reason PokerMaster is a so profitable for regs, especially low-stakes and mid-stakes grinders, is that the rake is fixed at 5% of your winnings. When you book a losing session – variance is just a part of life – you don’t pay any rake. “PokerMaster prides itself on being a fair and trusted platform, which is why the card dealing algorithm, or RNG(Random Number Generator), utilized in our game is certified by GLI [Gaming Labs],” explains the company website. Similar to Hollywood for actors or New York City for writers, the key to tapping into the full potential of a market, such as the one provided by PokerMaster, is having an agent with access to the best clubs and lowest cashout fees. “If you get yourself an access to a private club with juicy games, there is a big chance you will share it only with few regulars. Hence, it is important to get into the game through a good affiliate with a wide range of clubs. PokerWarmUp can connect you to an agent who currently offers access to more clubs than anyone else and also guarantees players funds and the best cashout fees,” explains one of the professional poker players behind the PokerWarmUp. As with any poker opportunity, the profitability versus the risk of playing beyond the odds at the table, are the two most important factors when it comes down to taking a chair or not. The Chinese market, flush with gamblers and cash, that can be accessed through PokerMaster is without a doubt worth the trouble of getting used to using a poker app rather than a traditional poker site. As it is with so many other business ventures, the frontier for expansion is in China. This is especially true with Poker. The key to taking full advantage of this new frontier is by being connected to a reputable agent who not only guarantees your capital but is also able to find you seats at hundreds of the softest tables in the private club atmosphere created by PokerMaster. Want to learn more about the top agent for PokerMaster? Hit up PokerWarmUp on Twitter @PokerWarmUp , on Skype or Telegram.